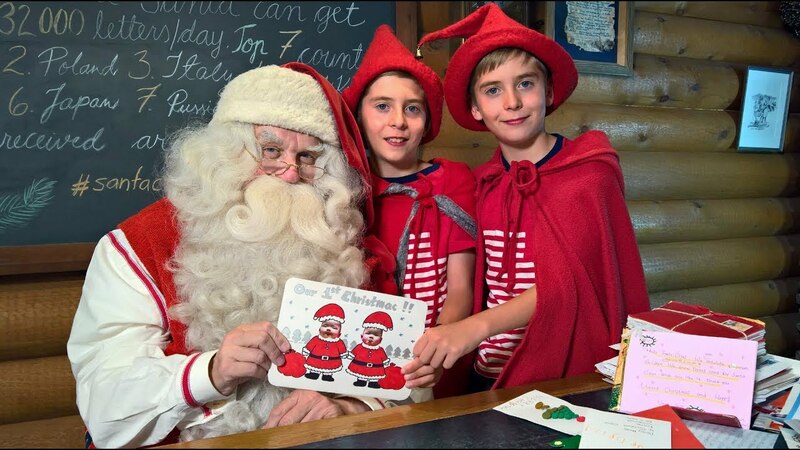 Sending a letter to Santa is a great way to express your Christmas wishes or just say hi! Here’s his address, in case you want to send a letter or visit him in person. As the days get shorter, and the holidays begin lining up like toy soldiers, there’s a question that we hear more than once. 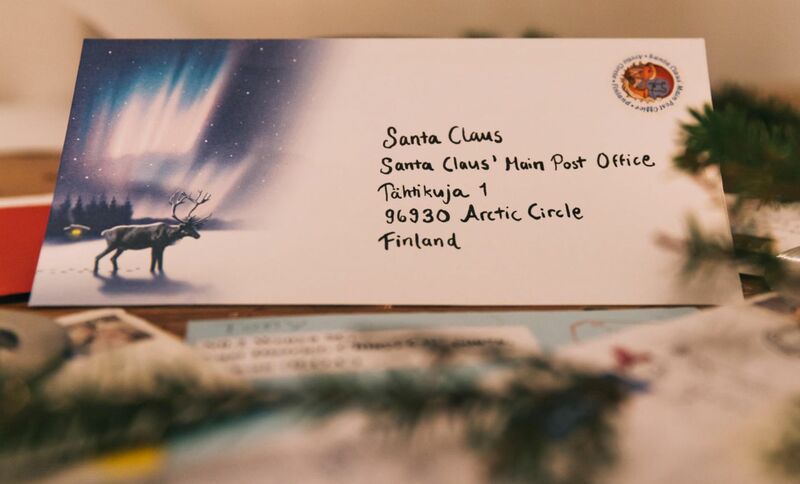 “How can I write a letter to Santa Claus?” You don’t need any help with the content, you just want to know: where do I mail my letter so Santa is sure to get it? 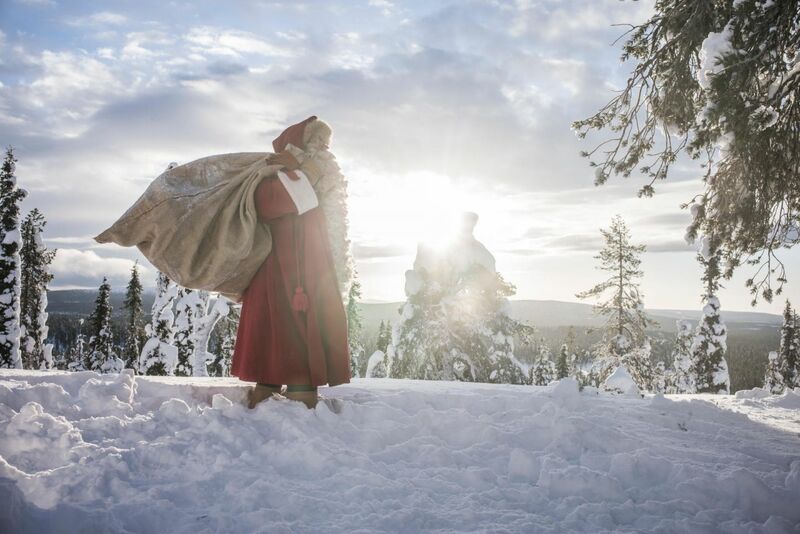 It’s not exactly a secret that Santa lives in Finnish Lapland. His secret workshop is under the quiet fell Korvatunturi in the east, and he keeps office hours every day of the year at Santa Claus Village on the Arctic Circle. 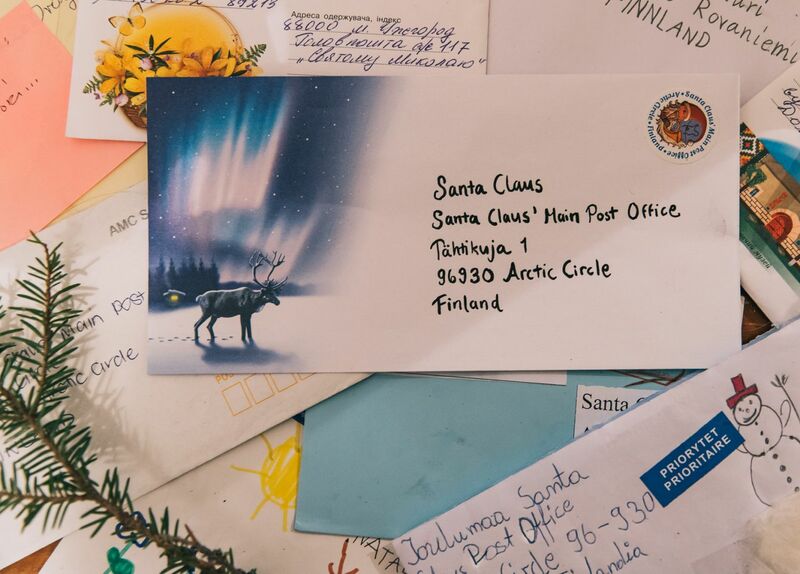 During the Christmas season, Santa Claus gets a lot of letters at the Santa Claus Main Post Office in Rovaniemi. Around 30,000. Every. Single. Day! It keeps his Posti elves pretty busy, sorting and preparing the letters for the Big Guy. He gets letters of all lengths, sizes, sorts and languages. They come from every corner of the world! Santa gets letters from children, adults, families, schools, businesses, politicians and pop stars. And his very favorite letters are kept at the National Archives of Finland. Want to get a reply from Santa? The Finnish Post Office can help with that! Of course, if you’re in Rovaniemi, any time of year, you can visit the Arctic Circle. Here you can meet Santa’s reindeer, his capering elves, and deliver your Christmas wishes and greetings in person. He’s always happy to see you, whether it’s July or Christmas Eve. Here’s a great video from Santatelevision of Father Christmas displaying some of his most beautiful letters from around the world.